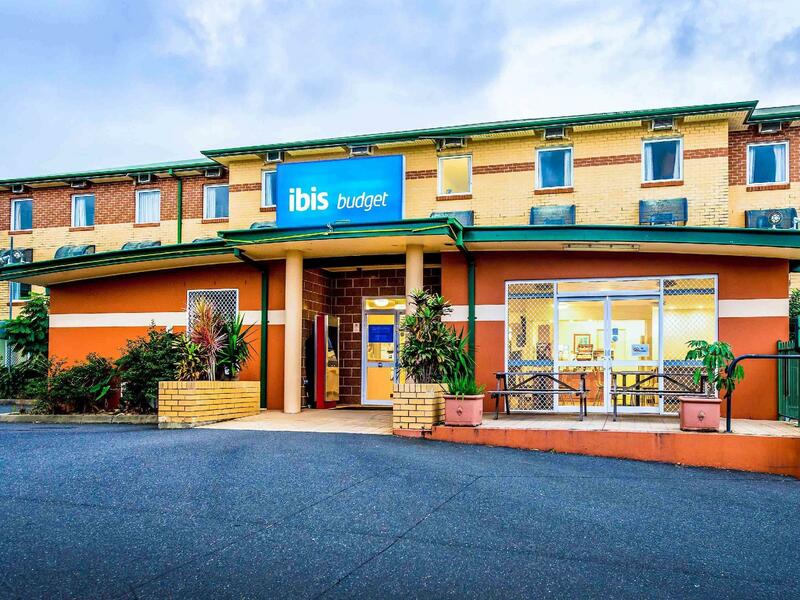 إن فندق Ibis budget Coffs Harbour بموقعه الممتاز في Coffs Harbour هو نقطة انطلاق جيدة لنزهاتك في كوفس هاربر. يحظى هذا الفندق ذو 2.5 نجمات بمكان ممتاز يسمح بالوصول إلى المعالم السياحية الأكبر في المدينة، فهو يبعد مسافة 0.85 km عن صخب المدينة. كما يمكن الوصول بسهولة إلى Red Sparrow Tea Co, كوفس هاربر, ‪North Coast Regional Botanic Garden‬. استمتع بالخدمات الراقية والضيافة التي لا مثيل لها بهذا الفندق في كوفس هاربر. إن خدمة التنظيف يوميًا, مجهز لذوي الإحتياجات الخاصة, مرافق مخصصة لذوي الاحتياجات الخاصة, تسجيل وصول/خروج سريع, تخزين الأمتعة هي جزء فقط من الخدمات التي تميز Ibis budget Coffs Harbour عن باقي الفنادق في المدينة. ادخل إلى واحدة من الغرف 70 وتخلص من عناء نهار طويل بمساعدة مجموعة كبيرة من الخدمات كمثل مرآة, غرف لغير المدخنين, مكيف هواء, تدفئة, مكتب الموجودة في بعض الغرف. سواء كنت من محبي الرياضة أو كنت تتطلع لتفريغ عناء نهار صعب، ستجد خدمات ذات مستوى عالي بانتظارك كمثل حمام سباحة خارجي. 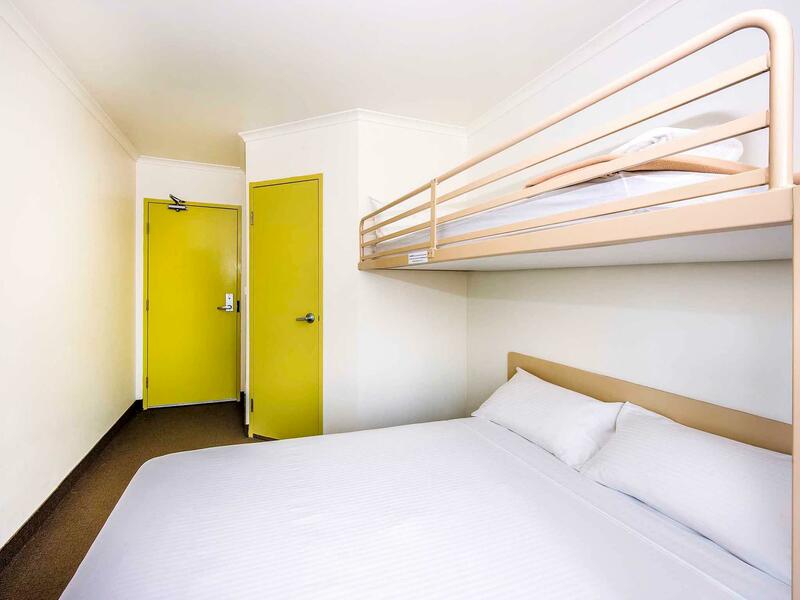 إن Ibis budget Coffs Harbour هو خيار ذكي بالنسبة للمسافرين إلى كوفس هاربر، بما يوفره من إقامة هادئة ومرحة. This hotel served a purpose for us as it was right next door to the greyhound bus stop for onward travel to Sydney (literally metres away). I really would not recommend staying more than one night or for leisure as the location is a long walk from the beach and on a fairly busy road. The breakfast is pretty average at best. 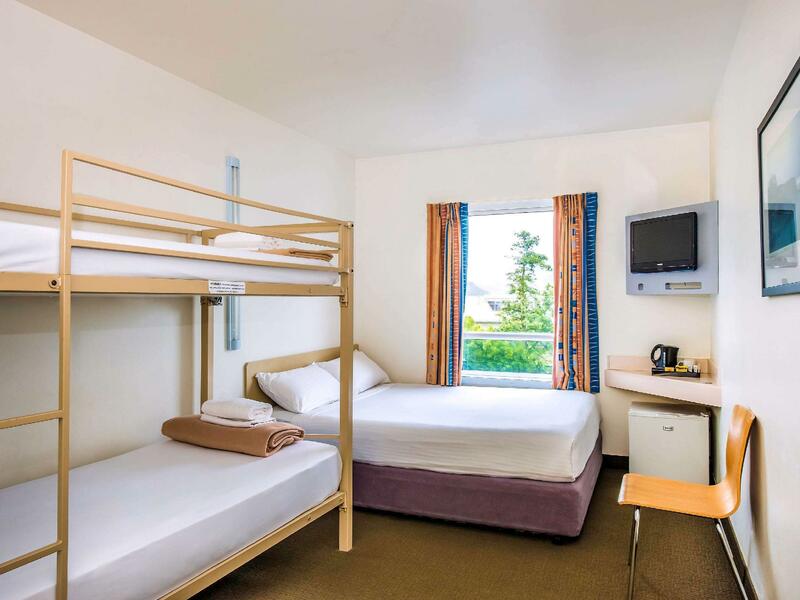 Pro - clean, basic rooms and just off the highway, therefore great for a night stopover. Cons - very basic, I wouldn’t want to stay longer then one or two nights. Also the shower floods the bathroom, maybe a small edge would help prevent this. Only wifi in front reception area - not great if you just want to relax in the privacy of your room and get some work done. this hotel provide good customer service for customer ther are maany shops restaurant and supermarket it is convinence for us also this hostel provide car park for guest and free of charges i most like this service. The biggest mistake I made is not reviewing this property on other booking sites. The reviews on Agoda were favourable but on another well known site the reviews more truly reflected my experience as follows. The saving grace is the reception staff. Disappointed to find Agoda was promoting as a special at well above the normal price. -During the booking in procedure the staff ensured I knew that leaving the bathroom door open whilst taking a shower may trip the smoke alarm. Signs to this effect were also in the room. Why didn't they just put an exhaust fan in the bathroom? -Room smelt very strongly of BO particularly if the aircon was off. -Bathroom very small mildewed shower curtain separating. Water all over the floor. Never mopped. 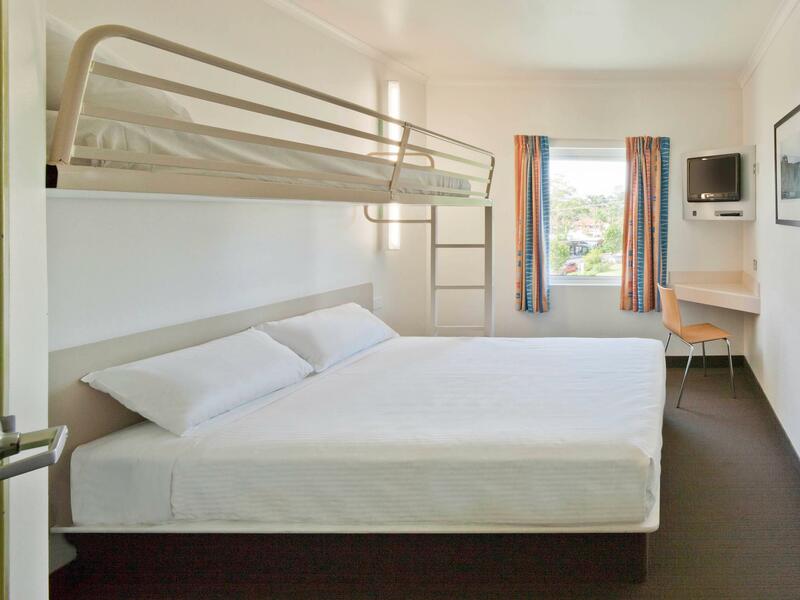 -Rooms are very small & sparsely furnished with no bedside table or seating. -cockroaches found behind fridge, under bed and toilet. -Condition of booking was no cancellation and couldn't afford to pay for anywhere else so stayed under duress.. When we book it says including breakfast but upon check in breakfast not included we have to pay 7 dollars for a cereal and a toast and coffee!!! Clean and kind. all good. Friday and Saturday nights may be quite noisy by the bar around. Exactly what we needed for an overnight stay, nothing more, nothing less. Should bring your own toiletries as nothing but a bar of soap was supplied. Kettle, tea and mugs supplies as well as a mini fridge. Stayed here one night, and it was good enough for this length of time. There was nothing really wrong with the hotel, but it's obviously very cheap. The hotel appears to be a former hospital, and nowhere more apparent than this is the shower, which was impossible for me to use because I'm too tall. This hotel is nothing fancy, but was adequate for our purposes. Room was small, but clean and well kept. The only issue was the shower- it didn't have a very strong head, you were basically showering in a fine mist. We didn't mention it to hotel management, so I'm not sure if this was just our room or all through the hotel. comfortable, clean & near the motorway. Arrived and checked in at the hotel later than 10pm, beyond their closing time. Had problems with the auto check in counter, so I paged the staff. The receptionist came over fast and greeted us warmly. Overall a smooth transition after a long drive. 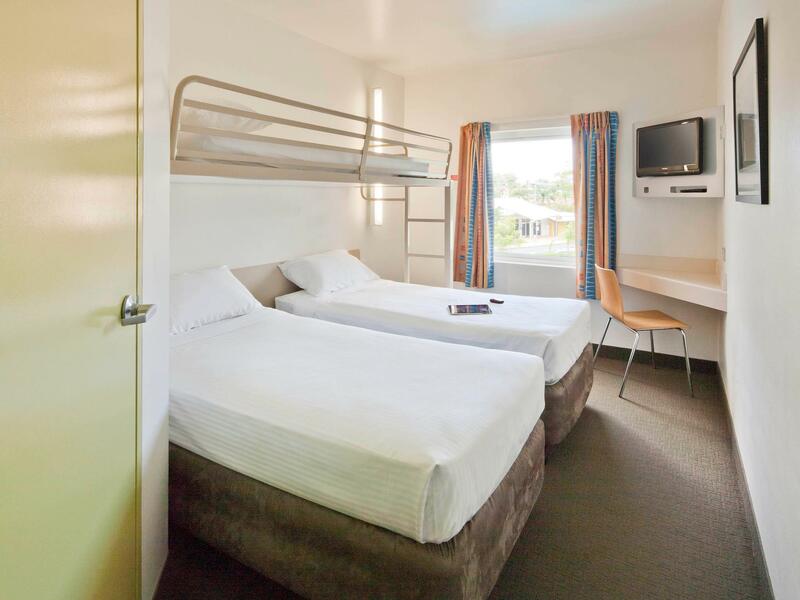 Very typical Ibis Budget stay. Rooms the same as they always are, neat, suitable and comfortable. Staff performed their jobs on check in to an acceptable standard but not overly welcoming. We generally stay at the Ibis as the halfway point on our trips to Sydney, and it has always been suitable. Great restaurant at the pub beside the hotel. Lots of noise from the pub very late at night. Noisy guests. Noise in the swimming pool late at night without management intervening. Tv didn’t work well. Window didn’t shut properly in the room. Shower can set the smoke alarms off. I left to travel home (4.5hr journey) with two young kids without having anywhere near enough sleep and without washing. Would probably have got more sleep sleeping in the car. I’ve stayed in better backpackers. Aging property with noisy aircon, cracked window, rusty bedframes with loose bolts,dirty disposable cups and a bad musty smell. Clean room, comfortable bed, Good shower. On the down side noise was a disturbance especially at 3:00 am. Stayed here as a stop over to Gold Coast. As subject title, it is a No Frills hotel that satisfied as a stop over. Room is clean and it is near to a woolworths.